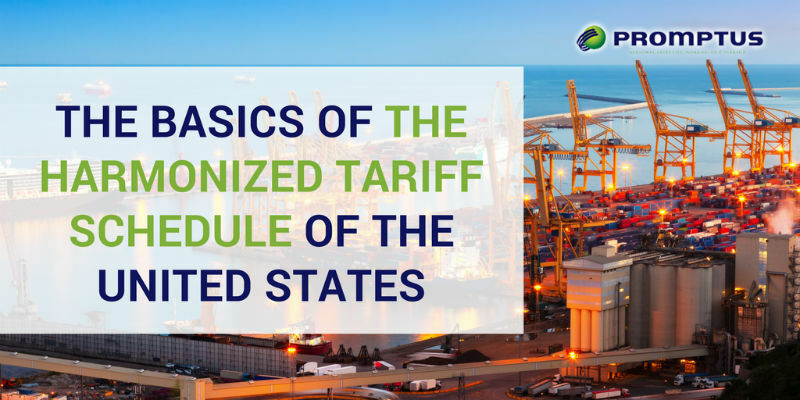 The Harmonized Tariff Schedule of the United States, aka the HTSUS or HTS, is an important manual used in just about every import or export transaction that occurs. Sometimes known as the Harmonized Tariff Schedule of the United States Annotated (HTSA), this government-issued document is created by the Office of Trade Affairs and Trade Agreements of the USITC and is regulated by the Customs and Border Protection (CBP) agency. The primary responsibility of the HTS is to dictate the tariffs, duties, and statistical categories for merchandise being imported into the United States. The national system that is used in this country is modeled off the International Harmonized System, which is used to categorize most of the world’s trade. The HS was introduced in 1988 by the World Customs Organization (WCO) and has since been adopted by most countries. From there, individual countries, such as the United States, have created their own versions to keep track of domestic imports. Congress enacted the HTSUS in 1989, replacing the former Tariff Schedules to this uniform version. Companies can refer to the most recent version of this document to double check the current amount or classification of the goods they are importing. This can help them be aware of any tariffs that may be imposed or duties that will be required to successfully import their merchandise. To make things easier for domestic and international importers, the HS and the HTS classifications typically match up to the 6-digit level. While it may seem confusing at first, the Harmonized Tariff Schedule can actually be quite easy to understand. The system is designed so that all traded goods are classified by their material composition, intended function, and/or the product name. Each article falls into only one category, and the document is thoroughly divided into chapters designated with a 2-digit number. The corresponding product categories are then identified with a specific digit number. Chapters designated by 4-digits are known as headings; chapters designated by 6, 8-, and 10-digits are known as subheadings. While this guide is stylized and distributed by the United States International Trade Commission (USITC), only the CBP is authorized to offer legally binding advice or rulings on the classification of imports. Our Customs Brokers’ always take the time to read the newest edition of the HTS to ensure their advice is relevant and accurate. The CBP uses the system developed by the USITC to classify imported merchandise. Since just about every single good you can think of has been classified. Over 10,000 subheadings can be referred to in order to confirm the duty of that product. Ultimately, the goal is for importers to find the product’s corresponding classification code in order to determine the up-to-date duty rate that will need to be paid in order to successfully import that item. You may have heard plenty of buzz about the HTS or may be in the process of updating your own copy, as the newest version of the HTSUS was released late April 2018. This copy, which is the third revision of the version, released January 1st, 2018, details some modifications that may be relevant to some importers. When going through the change record, you will note that the products are listed using their classification numbers, so it is important to familiarize yourself with the codes relevant to your merchandise. If you find yourself confused or unsure how to read the new changes, one of our licensed Customs Brokers can help! We understand that not all companies with import/export needs have the time or background to fully understand relevant Customs laws. 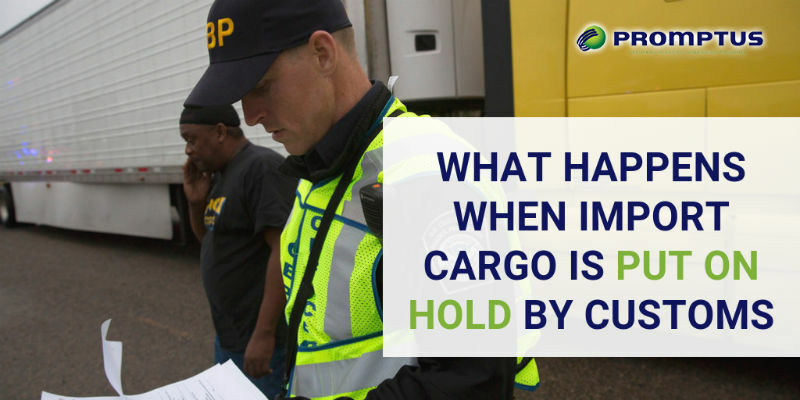 Documents like the Harmonized Tariff Schedule can be difficult to navigate without prior knowledge or a basic understanding of the CBP’s system. Promptus LLC is dedicated to providing expert assistance to companies large and small with a variety of global logistics needs. Contact us today to receive your free quote for our services. 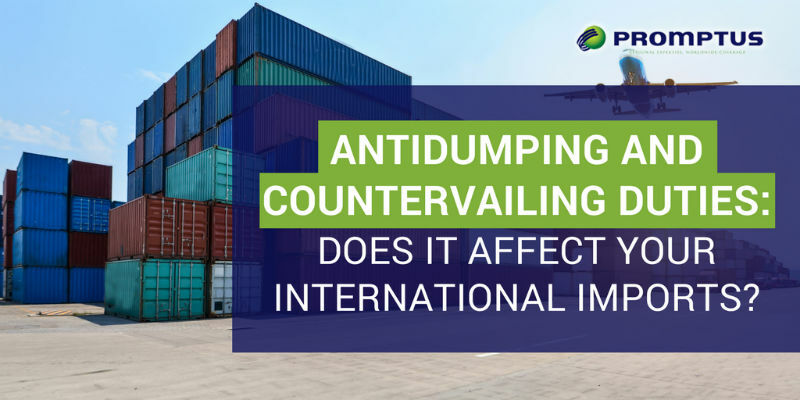 Antidumping and Countervailing Duties: Does It Affect Your International Imports? In order to successfully import goods to this country, there are a number of rules and regulations that must be met. There are different organizations assigned to oversee various aspects of the import/export industry, such as the US Customs and Border Protection (CBP) agency. Other agencies that assist with regulating foreign imports are the International Trade Commission (ITC) and the Department of Commerce (DOC). These three organizations are particularly important when it comes to enforcing antidumping and countervailing duties (AD/CVD) on foreign manufacturers. It is important to take the time to go over the extent of AD/CVD orders to ensure that your merchandise does not fall under it. If it does, you must take the necessary steps to avoid incurring this penalty. What Are Antidumping and Countervailing Duties? Under the Tariff Act of 1930, the United States Department of Commerce implemented a system of rules that affect all foreign manufacturers planning to import their goods into the United States. It essentially requires all international importers to sell their goods at a fair price within the market. If the DOC finds that imported goods have been sold in the US at a subsidized or drastically reduced price, the company that imported the goods will be subject to antidumping and countervailing duties. The intention of this is to level the playing field for American manufacturers and ensure that the market is not flooded with low-cost competition, ultimately making it impossible for American companies to push their goods in their own country. This means that if you are a foreign manufacturer and have received subsidies or tax breaks for your government for importing goods into the US at unfairly low prices, you may be subject to AD/CVD. How Do I Know If My Merchandise is Subject to AD/CV Duties? As an international importer of goods into the United States, it is your sole responsibility to make yourself fully aware of the current market for your merchandise. The scope of your merchandise in regards to AD/CVD is at the discretion of the agencies administering the antidumping laws, however, you can refer to different resources to get a better understanding of AD/CVD operations. The Department of Corrections offers Federal Register Notices and Unpublished Decisions so you can review current and past cases. The International Trade Association offers a list of products subject to AD/CVD duties, separated by country. US Customs and Border Protection has a list of Frequently Asked Questions that offers information regarding AD/CVD duties. Ultimately, as long as you do your homework and check the current duty rates of imported merchandise from your country into the United States, you should be able to avoid any unexpected taxes or fees. A great way to ensure that you don’t miss anything is to hire a Licensed Customs Broker who has experience with international imports. At Promptus LLC, we have a number of qualified Customs Brokers available to help you sort through all the necessary paperwork and regulations to legally import goods into the United States. Contact us today to receive your Free Quote for our services! Are you a business owner located outside of the United States but are looking to import your goods into the country? You are not alone. Many international companies aim to have a presence in the US to help expand their business and increase revenue. To do so, you will need to take the time to file the necessary paperwork with the United States Customs and Border Protection (CBP) Agency. Can a foreign company export to the United States without an importer of record based in the U.S.? But What Exactly is a Foreign Importer of Record? Promptus, LLC has a number of experiences US customs brokers available to help companies all over the world go through the necessary motions to get their merchandise over to the US. A Customs Power of Attorney document signed by two officers of the business. A copy of your Articles of Incorporation, including a copy of the document that specifies the authority of the officers signing the Power of Attorney. Copies of the photo IDs of the two signing officers. Upon submission of these documents to your customs broker, they will be able to apply for the Customs Assigned Number, which will allow you to obtain a customs bond. From there, you will be able to ship your goods to the US, assuming any other relevant stipulations are met. For example, if you are importing trademarked goods or items regulated by the FDA, FCC, or similar entities, please be sure all the necessary registrations and documentation are filed. You will also need ultimate consignee’s U.S. address and Tax ID number, which must be noted on the customs entry. Let An Expert Help You! Don’t stress yourself spending extra time, money, and energy on trying to understand certain CBP regulations and rules. We want our clients to be able to put their efforts back into what really matters: their business. We will work with you to provide all the necessary paperwork and obtain all the accompanying documentation to ensure your shipments arrive smoothly and without incurring additional fees or penalties. Contact us today to get your free quote for any of our global logistics services. 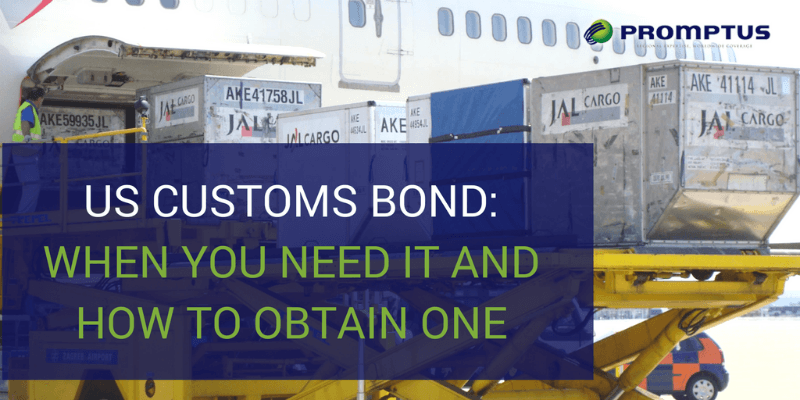 If you are in the import/export business, it is likely that you will need to obtain a number of different customs bonds throughout your operation. It is highly recommended to get assistance to help you work through all the necessary paperwork and understand what type of bonds you will need for certain shipments. One of these bonds is a temporary import bond (TIB), which can allow you to bring goods into the United States duty-free. What Does a Temporary Import Bond Allow? A temporary import bond is an addition to a preexisting customs bond that will allow importers to bring a specific list of goods into the country without having to pay the traditional customs taxes and tariffs. Instead, the importer will be allowed to post a bond for (typically) twice the amount of the duty, taxes, and any additional fees. Who Can Obtain a TIB? 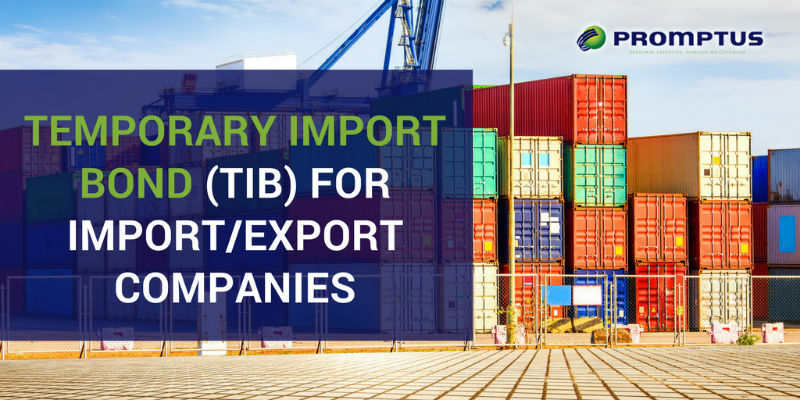 As defined by Customs and Border Protection, only items defined in the Harmonized Tariff Schedule of the U.S. (HTSUS) between subheadings 9813.00.05 through 9813.00.75 are eligible for TIB entry. The exception to this is if these items are being brought into the country with the intent of being sold or distributed. Any merchandise being imported for commerce within the US will not be eligible for temporary importation unless it is sold to a foreign purchaser for exportation. Items to be repaired, altered, or processed. Women’s models for use solely as models in their own locale. Items imported by illustrators and photographers intended only for use as models in their own enterprise, or within catalogs, pamphlets, or similar advertising materials. Samples intended only for taking orders of goods. Items intended solely for assessment with a view to reproduction and movie ads, excluding photoengraved printing plates for examination and reproduction. Items imported exclusively for testing, experimentation, or review, including specifications, photos, and articles to be used for study and experimentation purposes. Cars, airplanes, airships, balloons, motorcycles, bicycles, boats, racing shells, and the like; including equipment brought temporarily into the country by nonresidents with the intention of taking part in races or similar contests. Locomotives and similar train equipment brought into the US temporarily for emergency purposes, such as fighting fires, clearing obstructions, or doing repairs. Containers for compressed gasses, both empty or filled, as well as containers for use in converting or holding goods useable for this purpose. Professional equipment, repair tools, tools of trade, camping equipment, and brought by nonresidents staying in the country temporarily. Items of special designs temporarily imported specifically for use of the manufacturer or production of goods for export. Animals, livestock, and poultry brought into the country for the exclusive purpose of breeding, exhibition, or prize-earning competitions. Works of art such as engravings, photographs, philosophical or scientific apparatuses brought by foreign artists, scientists, or lecturers with the intention of exhibition or similar encouragement of the subject. Automobile chassis and bodies and cars, or any portion of them, with the sole intention of show and exhibition. Articles covered under Subheading 9813.00.50 (tools of trade), if seized for reasons other than by suit of private persons, have the requirement of exportation suspended during the period of seizure. It is important to keep in mind that all situations may vary and you may not always qualify for a TIB. The best way to ensure that you have sorted through any confusing practices is to consult with a Licensed Customs Broker. We can work closely with you to ensure you truly understand CBP’s import/export requirements and policies. Our goal is to help your business avoid costly fees, liquidated damages, or penalties due to improper shipping practices. Call us at 1-877-776-6799 to get your free quote today! Shipping and logistics can often span to multiple areas throughout the world, which means dealing with international trade laws and global market rules. This includes customs duties, taxes and tariffs, and other bureaucratic regulations. For US-based shippers, this can mean expensive costs and complicated instructions. The U.S. Customs and Border Protection (CBP) created secure areas outside of their typical jurisdiction, known as Foreign-Trade Zones (FTZ). The Foreign Trade Zones Act was established in 1934, during the Great Depression, to help expedite foreign trade while lower costs for US operations that were engaged in international commerce. In this day, an FTZ is an area that operates under CBP supervision in areas where special procedures can be used to encourage US trade activity. These zones are located within or adjacent to CBP ports of entry in the United States. They are known internationally by many names, most commonly free trade zones. Essentially, an FTZ is an area where goods can be traded internationally without being subjected to the typical quotas and tariffs. They are subject to the rules and regulations of the US in addition to the area in which the merchandise is located. As you may know, producing a finished product usually requires raw goods from a variety of manufacturers, often located in various parts of the world. Without the FTZ agreement, companies trying to import their finished goods into the United States would be forced to pay tariffs on all the components to the assembly location as well as into the US. Instead, an FTZ offers the advantage of avoiding all import duties as long as the goods are stored, repackaged, or prepared in an FTZ. This way, companies only have to pay the import tariff into the United States. This provides an obvious financial benefit for companies who may be subjected to inverted tariffs or duties on waste or yield loss. Without a zone, after all, all items entering the area will be subject to import tax. For companies that generate a lot of scrap or waste to create their merchandise, this means having to pay tariffs on everything, even if some will be lost in the production process. With an FTZ, you will only be required to pay taxes on the finished product, which saves you tariffs on any materials that are lost during the yield of your goods. Inverted tariffs pose an issue for companies that wish to make their products in the United States. This is another reason why companies utilize the FTZ program. In many cases, a raw good can have a higher import tax than the finished product itself would. This gives people creating goods outside of the U.S. an unfair financial advantage over their domestic competition. The FTZ program allows for duty reduction on these inverted tariff situations to help level the playing field. Not to mention, storing your goods in an FTZ gives you the safety and reliability of a CBP supervised facility. Systems are implemented to help companies that make multiple deliveries save money by only having to pay for weekly Customs entries, versus having to pay for each individual one. Promptus, LLC has licensed Customs Brokers available on staff to help ensure your company submits all necessary paperwork to avoid any penalties or additional duties. There are two types of foreign trade zones available for global logistics needs: general-purpose zones and special-purpose zones. A general-purpose zone must be available to multiple companies and is only available for warehousing. These are better suited for smaller companies and corporations that do not need an ongoing FTZ arrangement. A special-purpose FTZ is available exclusively for to a single company for a carefully designated purpose. These are better for manufacturing plants or distribution facilities too far from other industrial areas. This is where a 3PL comes in handy. If you are not sure which type of FTZ is best for you, we are happy to offer you a consultation and quote for services. Promptus, LLC works closely with each business to understand exactly what type of logistics services they need to maximize efficiency. We provide full-scale freight forwarding services, including ocean shipping for companies of all sizes. Together, we can determine where and how you should be using FTZs to your advantage. 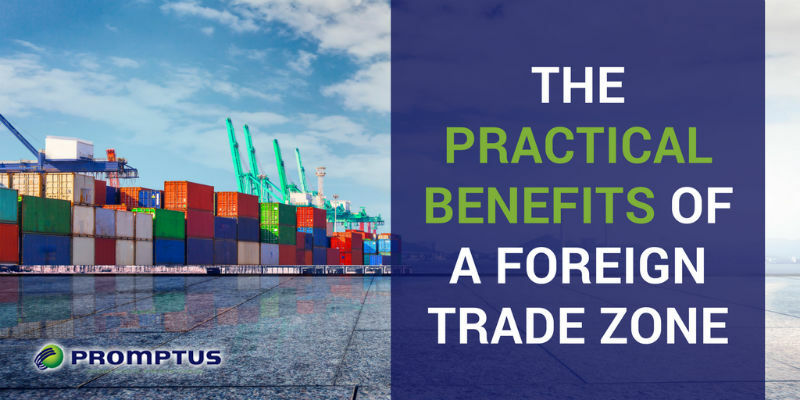 Promptus, LLC can help you to save money and take advantage of a number of benefits that you can achieve by using an FTZ. We allow you the technology to track your inventory, keep up with manufacturing progress, and manage high-volume operations from within the FTZ. With over 15 years of service, Promptus can provide importer and exporters with all their global logistics needs. Call us today at 305-687-1405 to get your free quote today! Apparel is one of the most important import industries in America, bringing in around $80 billion in clothing and other apparel per year. Naturally, there are a number of regulations that your business is expected to comply with if you wish to import any type of apparel or textile into this United States of America. Missing a step or failing to submit the necessary documents, could put your business at risk for incurring hefty tariffs or penalties. To take better precaution, we invite you to contact us and speak with one of our licensed Florida Customs Brokers who will be more than happy to assist you every step of the way. FTC: The Federal Trade Commission is responsible for creating and enforcing labeling laws for imported apparel. CPSC: The Consumer Product Safety Commission inspects and monitors children’s clothing and apparel items for hazardous substances and flammability. EPA: The Environmental Protection Agency regulates and tests for pesticides and toxic substances in imported apparel. Some of the most important things you must familiarize yourself with when it comes to apparel imports are labeling laws and requirements. As mentioned above, the FTC enforces these with cooperation from the CBP. Why Chose A Customs Broker? While it is completely possible for a business to dedicate the time and research to go through all the necessary motions to successfully clear an import shipment into the United States, you always run the risk of making a damaging shipping mistake. After all, your business is apparel, not imports! Promptus LLC is an established global logistic provider with over 3 decades of experience. 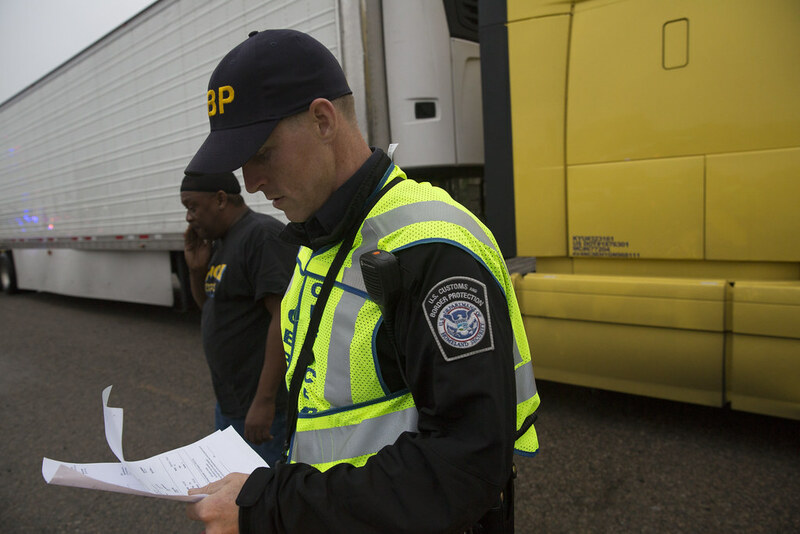 We are well acquainted with apparel import regulations and our agents work alongside CBP agents on a daily basis. When you trust the experts, you can rest assure that your apparel will never incur any fees due to failure to meet compliance regulations. We are based near one of the biggest shipping hubs in America, the Port of Miami, however we can clear your shipment at any port or airport of entry in the United States. Contact us today at 305-687-1405 for your personalized quote. A bond is required by Customs and Border Protection (CBP) for any party who imports goods or transports imported goods through the United States. It acts as a sort of insurance policy for CBP to ensure that they are reimbursed in the event the shipping party does not meet their obligations. This CBP bond is essentially a contract that is used to guarantee the requirements imposed by the CBP are satisfied. There are three parties involved in a CBP bond: a principal, a surety, and beneficiary. The principal is the importer, carrier, warehouse, broker, etc. that is attempting to import goods into the United States. The surety is the insurance company or licensed customs broker authorized by the Department of the Treasury that issues the CBP bond to the principal. The final party is the beneficiary, which is always the US Customs and Border Protection. There are two types of CBP bonds that are directed toward different necessities: Single Transaction Bonds (STB) and Continuous Bonds (CB). Because bonds are necessary for nearly all-formal CBP entries, they are available to cover multiple transactions. Promptus LLC works with both first-time shippers and long-time business importers to help them get the necessary requirements to successfully clear Customs. The type of bond you will need will depend on how often you will be importing into the United States. Single Transaction Bonds are, as the name suggests, for single importations. They typically can be purchased at the value of the goods being imported, excluding any applicable taxes, fees, and duties. This is an ideal option for shippers who are not importing into the US often. Continuous Bonds are for importers who will be bringing goods into the US often and covers multiple transactions. Importers can obtain them for approximately 10% of the duties, taxes, and fees. How Can I Obtain a Customs Bond? A CBP bond can be attained through a surety licensed by the Treasury Department. However, many companies prefer to use a customs broker to take care of filing all the necessary documents and fulfilling Customs requirements. A CBP power of attorney will first need to be filed to allow your licensed customs broker to act on your behalf. If you wish to obtain a CB bond, you will need to apply through the United States Customs and Border Protection via the entry office at your desired import destination. You will need to submit several various documents and pay any applicable duties and taxes before it will be issued. Promptus LLC has been providing global logistics services for over 15 years, and can help clients understand the monetary guidelines of the appropriate bond for your import needs or learn more about the Bonds Centralization Program. Don’t run the risk of having your goods held by Customs for lack of a meeting necessary requirement. Imports that aren’t successfully cleared by customs may incur additional fees or require additional documents to release the shipment. Promptus LLC is centrally located in South Florida, and has been working with high traffic locations such as the Port of Miami for over a decade. Choosing an experienced global logistics company can help ensure you dot all the I’s and cross all the T’s so your goods can clear Customs with no hassle. 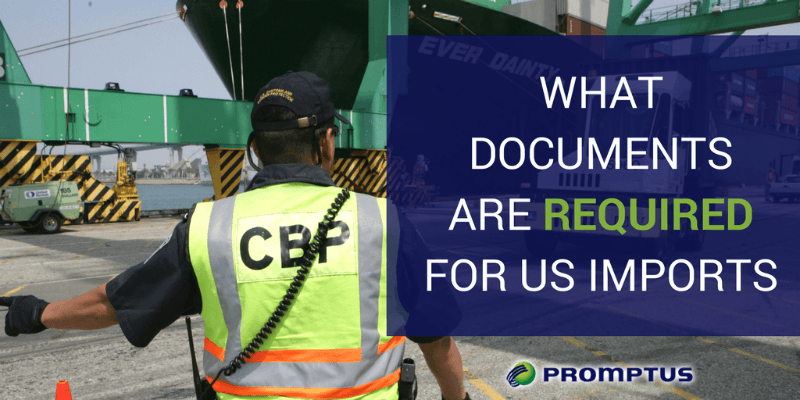 What Documents Are Required For US Imports? Many businesses rely on goods imported into the US as a revenue source. Successfully clearing shipments through Customs and Border Protection (CBP) is a necessity for importing into the US. It doesn’t matter whether you are a large corporation or a small business owner; the import requirements of the CBP apply to everyone. This means that cargo that crosses the border may sometimes be subject to duties and Customs clearance procedures. Sounds easy enough, right? Well, it is – assuming you don’t forget one of the documents and make a mistake that could cost you hundreds if not thousands of dollars. This is where a Customs Broker comes in. While it is the shipper’s responsibility to obtain these documents, a Customs Broker can review and consolidate all of your information to ensure you all necessary documents are properly submitted. Importing Goods into the U.S. 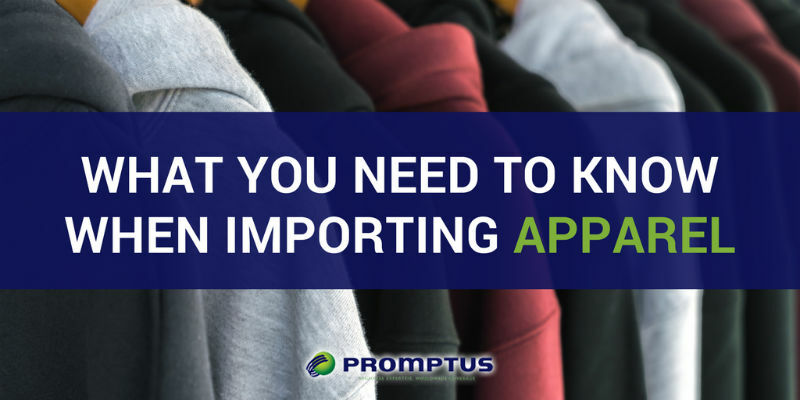 When a shipment arrives in the US, the importer of record – AKA the shipper or a licensed Customs Broker such as Promptus LLC – must file all required entry documents for the goods at the designated port of entry. Goods will not be considered legally entered into the country until the shipment is physically at the port of entry, the merchandise has been authorized by the CBP, and any applicable duties are paid. The shipper is responsible for ensuring the examination and release of the shipment, which can mean handling and submitting lots of paperwork. A Customs Broker can act on your behalf by representing you in customs matters including taking steps to release your goods from CBP custody. This can include filing customs entries, arranging payment, interacting with Customs agents, and fulfilling any other arrangements necessary for clearance of your shipment. In order for a Customs Broker to be able to act on the shipper’s behalf, a CBP power of attorney must be made in the name of the broker. This only needs to be done once and will allow the broker the legal ability to act as the agent in charge of handling your customs business. Proof of IRS. This is typically an Employer Identification Number (EIN) for business entities and a Social Security Number (SSN) for individuals. Customs Bond This is required for all customs entries into the US. Bonds can be obtained in two forms: single and continuous. A single bond is valid for only one entry and is recommended for shippers who don’t import goods on a frequent basis. A continuous bond is ideal for shippers who are constantly importing goods via CBP as it is often the cheapest, most convenient option. Importer Security Filing (ISF). This is only required if you will be shipping via ocean shipment. 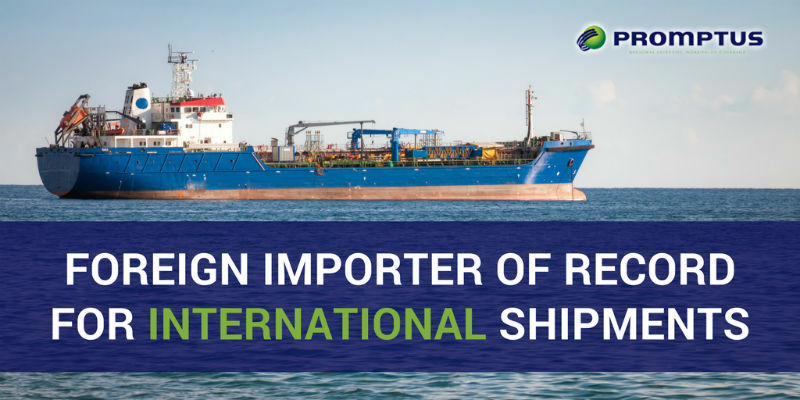 An ISF needs to be filed at least 2 days before cargo sails from its origin location in order to avoid penalties and fees from CBP. Shipping documents. This may include but is not limited to a commercial invoice, a bill of lading or airway bill, a certificate of origin, and a packing list. Government Certifications. If you are importing goods that need to be cleared or are regulated by a partner government agency, such as the FDA, DOT, FTC, etc., additional permits and certifications may be required for customs clearance. 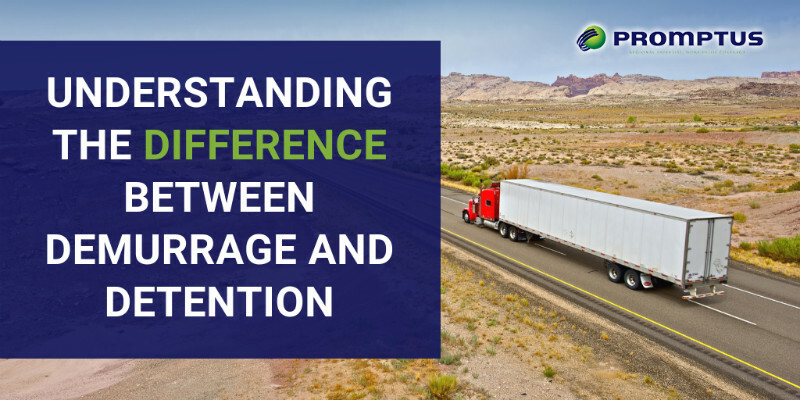 In many cases, shippers and importers are simply trying to get goods into the US for distribution to their storefronts, businesses, and clients – shipping isn’t their forte. At Promptus LLC, we have been dedicated to fulfilling the all global logistic needs, including customs brokerage, freight forwarding, ocean shipping, and more for over 15 years. Our team is committed, professional, and knowledgeable and will work closely with you to ensure smooth Customs interactions and successful clearance of your goods upon entry into the United States. Call us for a quote today!